Hi, I’m one of the part time nurses at Ardmore , you’ll see me mainly on a Friday and Saturday. 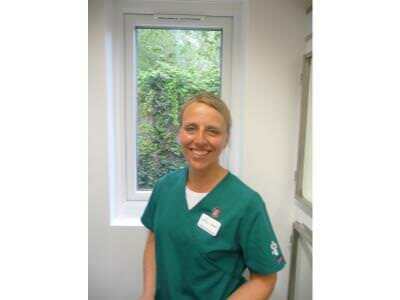 I qualified in 1993 at Bristol Vet School having trained at a small animal practice in Clacton on Sea. I am married with two young children, our family also includes a lovely Labrador called Fickle and Ringo the cat. When I’m not working at Ardmore or looking after my children I teach Aerobic classes at the local leisure centre.